Gibbs Smith Publishers, 9781423606598, 208pp. 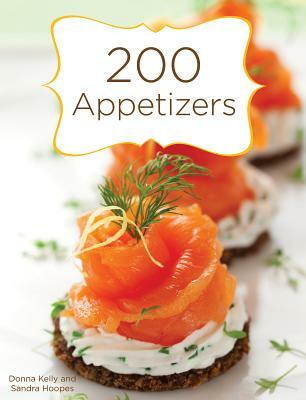 Appetizers, hors d'oeuvres, canapes, morsels, and small bites. Don't look at appetizers as just pre-dinner teasers any longer. With a wide variety of tasty and easy recipes including updated classics such as Sweet Potato Skins and Saucy Meatball Lollipops, you can dip and spread your way through to a complete meal. Donna Kelly is the author of several bestselling cookbooks including Quesadillas, French Toast, 101 Things To Do With a Tortilla, 101 Things To Do With Chicken, and 101 Things To Do With a Toaster Oven. She currently lives in Provo, Utah. Sandra Hoopes recently graduated from culinary school with an added pastry certificate. She enjoys taking cooking classes from great chefs in Phoenix, Santa Fe and at the Culinary Institute of America in Hyde Park, New York. Sandra is currently the Foods Editor for the Puma Press in Phoenix.